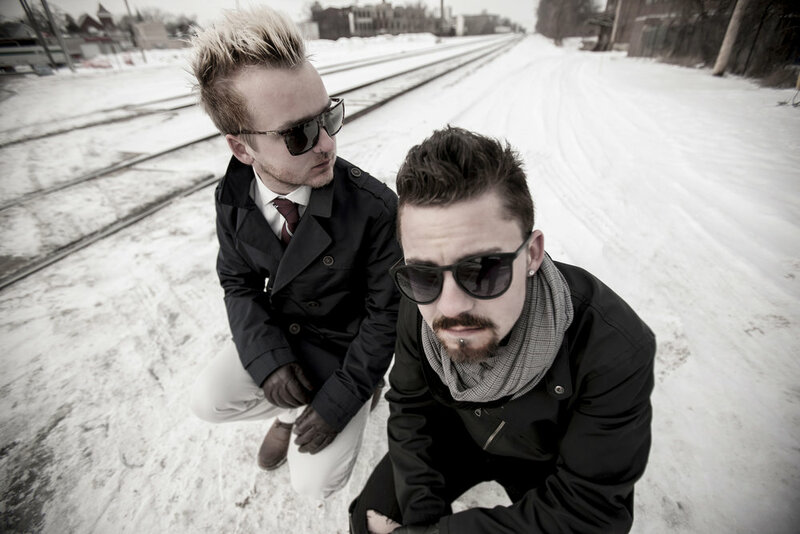 Version 5 is the brainchild of Minneapolis brothers Andy & Spencer Olson. In 2018 they picked up drummer AJ Rowe, who adds extra flair and energy to the group. For Version 5, nothing compares to the floor shaking beats of electronic music and the raw energy of rock music. Sonically, Version 5 (or [v5]) combine elements from the EDM/Electro-Punk world and the Rock/Industrial world to create something truly their own. This creates an infectious combination that is perfect for fans of Nine Inch Nails, The Prodigy, and Linkin Park. Their unique sound quickly caught the attention of multi-platinum A&R/producer Jeff Blue (Macy Gray, Linkin Park), and in 2015 they released their debut EP, co-produced by Blue. Their live performances are inspired by the unique lineups of artists like NERO and Twenty One Pilots. Stay tuned, & join the addiction. For more press photos be sure to check out our Photo Gallery. The music video for “Why Don’t You Drop” matches the chaos yet restraint of the music perfectly. There are moments with intense strobe lights followed by moments of pure beauty as the camera follows a beautiful woman dressed in a gorgeous red gown down an empty hallway. There’s a sinister vibe about the video that, again, matches the almost bipolar vibe that the music gives off at times. Beyond matching the music perfectly, the music video is so well done and professionally edited that it was hard for me to remember that these guys are just a couple of local boys done good. Watching a local group like this have a video that truly catapults them onto another level is one of my favorite things and every time I watched their “Why Don’t You Drop” music video, I find myself with all of the warm fuzzies.